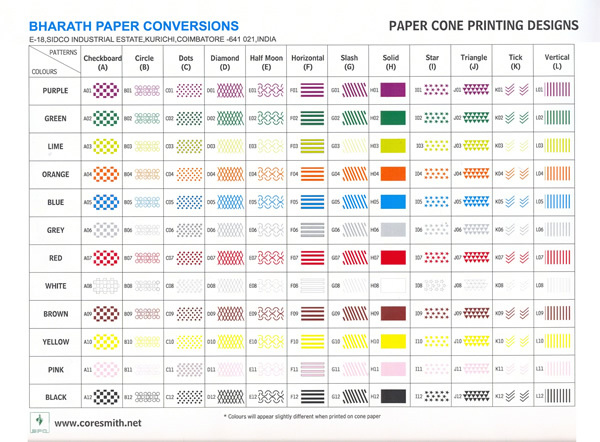 Depending upon the application the specification of the cone varies. The popular sizes in the present Textile Industries are 9 Deg15′, 5 Deg 57′, 4 Deg 20′, 3 Deg 30′, etc. Embossing is used for coarse and lively yarns. This surface provides extra resistance to yarn slippage. 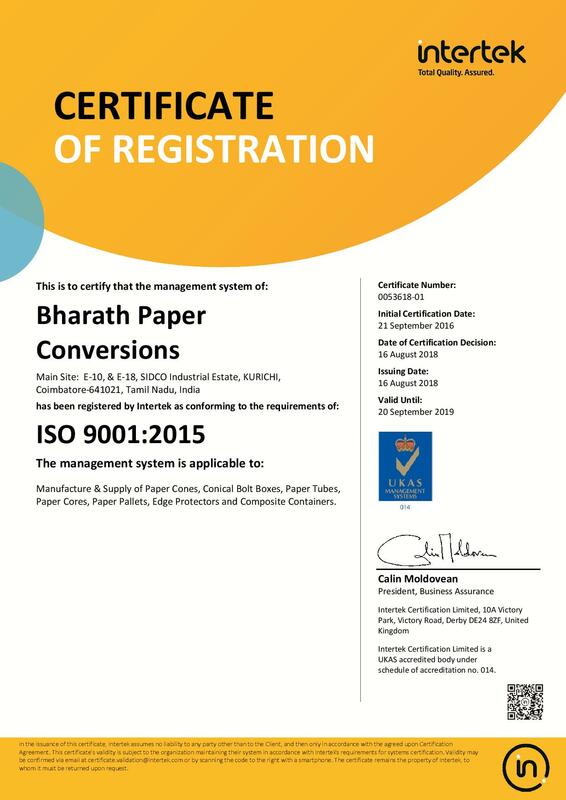 However fine embossing surface is provided for medium count yarn and for the threads where take off could be restricted by the above bold embossing surface. This surface holds winding to full length, yet permits free delivery to knitting or sewing machine. A. 9 Deg 15′ Cones – Regular, Plain or Plain Point Nose. B. 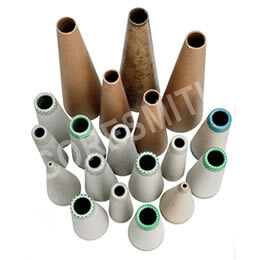 5 Deg 57′ Cones – Regular, Straight or Plain Point Nose. This cone is mainly used for winding single and multiple and cotton thread, synthetic yarns, twines, etc. 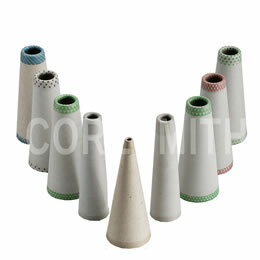 In the latest auto coner like Savio Italy, these cones are widely used. These cones will have either embossed or velvetted. C. 4 Deg 20′ Cones – Regular, Nosed or Plain Point. D. 3 Deg 30′ Cones – Crimped Nose. 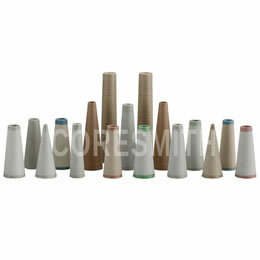 These cones are used to wind rayon, nylon and other filament yarns for knitting or creeling. This can be either velvetted surface. 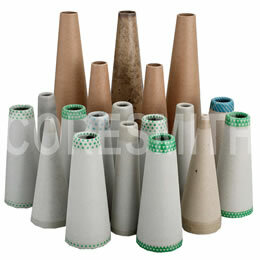 Heavy weight cones are used for constructive yarns and extra large packages. E. 3 Deg 51′ Cones – Regular, Plain or Straight Nose.